Housing counseling funding, including funding for HECM counseling, was approved by Congress late Thursday and was signed into law by President Obama on Friday. The Transportation, Housing and Urban Development (“THUD”) appropriations “Mini-bus,” bill passed through Congress as a group of appropriations lumped together by the Senate and House. It includes $45 million in housing counseling assistance for the Department of Housing and Urban Development through September 30, 2012. Under the bill, the grants made available must be awarded within 120 days of enactment, the bill states. “America’s seniors, looking to capitalize on their equity wealth to maintain their financial independence will still have access to consumer protections like housing counseling when this bill becomes law,” said H. West Richards, Executive Director of the Coalition for Independent Seniors (CIS). The counseling funding, which was cut by Congress in a last minute budget deal signed in April, has been a serious concern for reverse mortgage counselors nationwide as they watched their federal funding dry up over the course of the last several months. Many were forced to reintroduce fee-based counseling where they were previously able to waive fees, and for some it also meant raising the cost of counseling overall. In Congress’s approval of the spending bill on Thursday, it passed by a majority vote of 70-30. A previous Senate appropriations bill included $60 million for housing counseling, while the House appropriations bill included no funding. 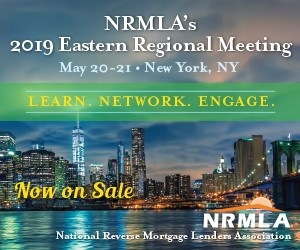 The National Reverse Mortgage Lenders Association and Coalition for Independent Seniors have lobbied in Washington for restoration of the counseling funds since they were cut earlier this year.